The Marine Hotel Association (MHA) is not only focusing on the big and well-known cruise lines at its 34th annual conference and trade show in Naples, Florida, March 31 to April 2, 2019, but also reaching out to exclusive luxury brands and expedition cruise lines, as well as river cruises and ferry operators. 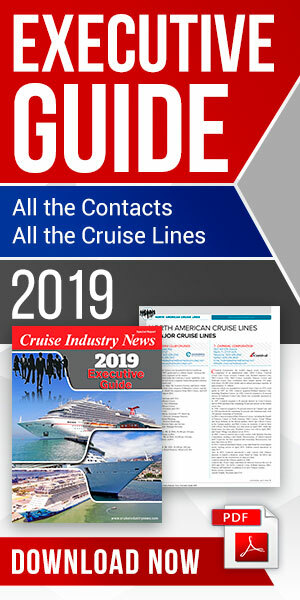 Huge Market Potential: The overall cruise industry is set to grow from about 380 ships and an annual passenger capacity of approximately 27.8 million passengers this year to more than 500 ships and 40 million passengers by 2027, according to the 2019 Cruise Industry News Annual Report. Market Segments: To make it easier to tackle, the market can be segmented, allowing vendors to target not only the mass market, but also the luxury and expedition brands globally. Small-Ship Speaker: Attending the 2019 conference and trade show will be representatives from the luxury and expedition brands, including Windstar, whose president, John Delaney, will be the keynote speaker on Monday, April 1. Culinary Showcase: Some of the top chefs and culinary minds in the cruise industry will kick off the event on March 31 by taking part in the MHA’s inaugural Culinary Showcase. The talented chefs will be on hand at the Naples Grande and will prepare their own custom creations for an audience of suppliers, cruise industry executives and other key players in Naples. The event will utilize the hotel’s Sunset Deck and Vista Ballroom, and will be a full evening of culinary delights running from 7 p.m. to 10 p.m. Lindblad recently rounded out the line up, adding to a strong culinary roster for the event. Trade Show Event: The MHA's trade show runs on Monday and Tuesday, April 1 and 2, with vendors, cruise lines and other key parties all together on the trade show floor. Conference sessions are run strategically before the trade show doors open to keep the group together. Tuesday Speakers: A new culinary and innovation panel will be the highlight Tuesday morning. Panel participants will share their expertise on culinary developments within the industry as well as comment on innovation, new concepts, partnerships, and issues around sustainability and managing the supply chain. The panel will also feature a short question and answer session with the audience. Scholarship: Additional show and membership revenue is funneled back into the MHA's trademark scholarship program. Over 8,000 shipboard and shoreside staff have benefited from attending these programs with their tuition covered by MHA Scholarship funds. The conference and trade show remains the only event of its kind dedicated to the marine hotel sector.